Abbi-Aerotech » Super economical Abbi Ceiling Fan TYPE E! 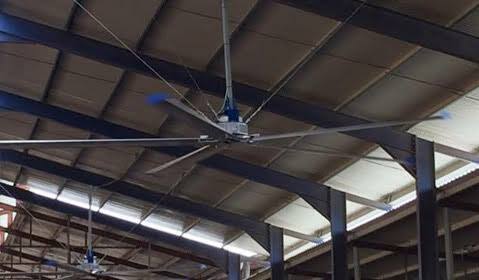 Super economical Abbi Ceiling Fan TYPE E! State of the art motor technology DC motor with permanent magnet and built-in motor inverter 400V now available and affordable! Extremely low energy consumption ! The Abbi Ceiling Fan Type E is a new version of our well-known Ceiling Fan with permanent magnetic motor. By changing the electronic data we have created more air capacity. Also we redesigned the motor winding that gave us the possibility to create 7 models: 2½, 3, 4, 5, 6 and 7 meters in diameter. And with a more effective way of producing, we can offer the new Abbi Ceiling Fan Type E for a competitive price.